Richard has developed a series of work books around life coaching through Inspired Life that are designed to support young people. They have proven to deliver benefits for emotional well-being and have received national recognition and awards. 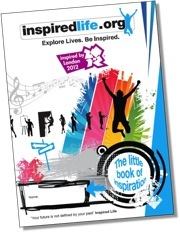 More recently Richard helped create Inspired Life's second publication, a junior edition of the high successful 'Little Book of Inspiration'. 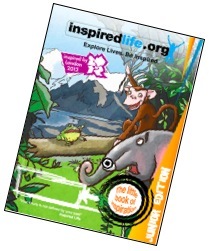 As part of the Inspired Life programmes Richard also created more than 100 worksheets, challenges and other resources. This has come a long way since Richard was first published at the tender age of 24 writing about the "management of sewage treatment works" for the British Hydromechanical Research Group. In between things Richard also wrote a 'Handbook of Adventure' which was sponsored by Olympus and the proceeds went to charity. At some point Richard will begin to write an account of his adventures in business, on the trail and at the Olympics although he often says he will write it when there is a bit more to tell.